Are you interested in joining a writers’ group? 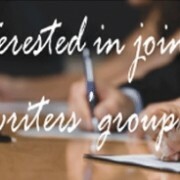 The BCLS is looking to gauge community interest in forming a writers’ group(s). 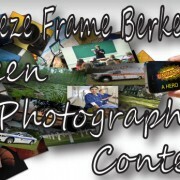 https://berkeleylibrarysc.org/wp-content/uploads/2015/04/15-04-142.jpg 184 315 berkeleysandy https://berkeleylibrarysc.org/wp-content/uploads/2013/04/logo-large2b.png berkeleysandy2015-04-12 20:49:522015-04-13 09:35:22Are you interested in joining a writers' group? Mark your calendars! 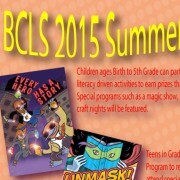 Open registration for the 2015 BCLS Summer Reading Program begins June 8th.